Deal of the Day! Get Hampton Bay YG305-LN Marlton 52 In. 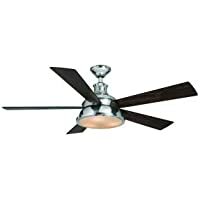 Indoor Liquid Nickel Ceiling Fan from Home Depot. Price Comparison provided above is as on 07/17/2018. Shipping cost (if any) is based on shipment to our office location. Please double check the shipping & final price on the merchant website before placing any orders.